My generous neighbour recently let us borrow her behemoth of a dehydrator! It was timed perfectly with our picking strawberries and also my recent second batch of homemade almond milk. So far, I have dehydrated a batch of raspberry puree and also a batch of raspberry and applesauce puree. 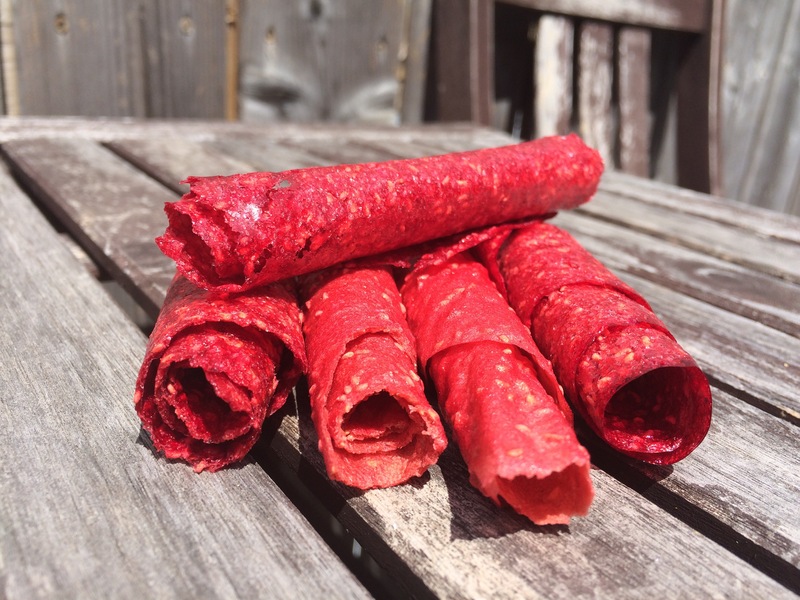 The attempts were to make fruit leather, but I came up with more of a fruit roll-up situation. Next time I believe the trick will be to just pour and not spread it out to create a thicker leather. 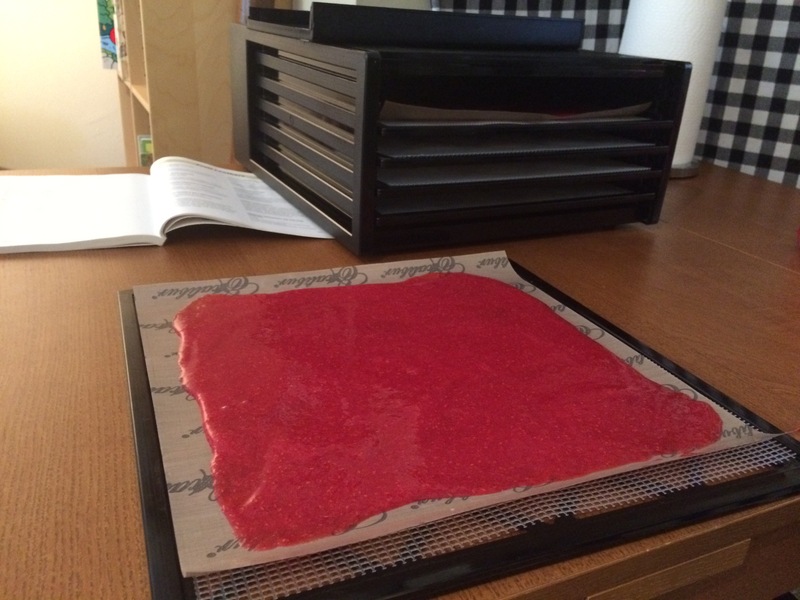 The process for the fruit leather is simple: just purée your choice of fruit in a blender and pour onto parchment paper and dehydrate at 135 degrees for about 6 hours or until leathery. If the fruit is tart like raspberries, you can add applesauce and/or a little maple syrup to sweeten it up. The combinations of fruit are endless!